Photo from The Times of Israel. Credit there given to Amos Ben Gershom/GPO/90. “Prime Minister Benjamin Netanyahu and Defense Minister Ehud Barak have “almost finally” decided on an Israeli strike at Iran’s nuclear facilities this fall, and a final decision will be taken “soon,” Israel’s main TV news broadcast reported on Friday evening. It is not surprising to me that the mainstream media in Israel is discussing possible military action. 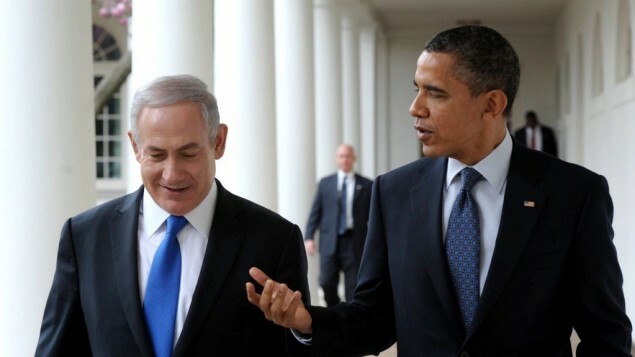 Another article I read (link below) details just how many in Israel see Mr. Obama’s talk being only that. One may see the rest of this article here. The article titled “Obama only ‘talks the talk'” may be seen here. This entry was posted on Wednesday, October 17th, 2012 at 5:25 AM and is filed under Bible Prophecy, Commentary, The Middle East. You can follow any responses to this entry through the RSS 2.0 feed. You can leave a response, or trackback from your own site. Israel has repeatedly backed themselves into a corner. For example giving back the Gaza strip very foolish. How many rocket attacks has Israel endured since that political suicide move and loss of lives? I cannot figure out why Israel is so bent on sucking up to an administration so pro Islam. Why are they not trusting in the God of Abraham, Isaac and Jacob? Israel has fought seven wars since their birth. They have won six of them. ridiculous, you bettcha! What is the alternative? Keep waiting, keep giving up land until they have five acres near the dead sea. It is time to wake up! I hate wars, Having fought in an undeclared police action they are horrible. But when your back is up against the wall its time to bloody some noses. You have a way with words, Manny. I think if Israel tries to defend itself with an Attack on Iranian weapons sites, the U.S. will not assist unless we have a different president. I was also very surprised when Israel gave up the Gaza strip. I think most Israelis finally learned a final lesson about giving up land. No matter how the world pressures our tiny little friend, I don’t think they will give up another inch. I think their borders will expand after the coming war.